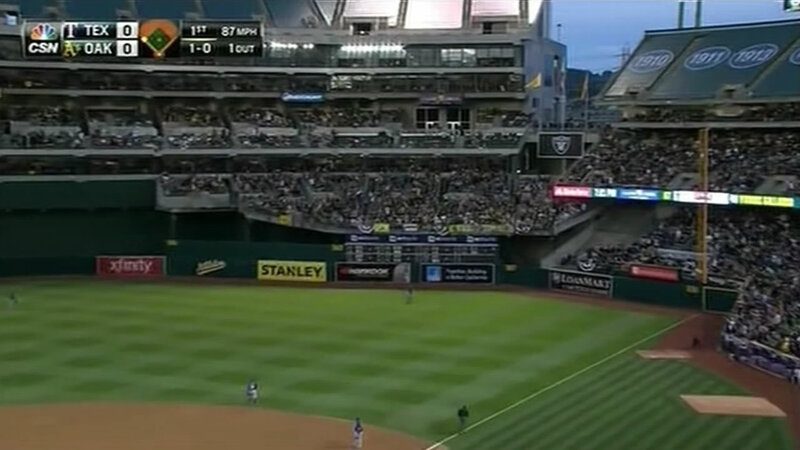 OAKLAND, Calif. (KGO) -- An Oakland Athletics season ticket holder wants every Major League Baseball stadium to extend their safety netting to protect fans. Gail Payne filed a federal lawsuit against the MLB Monday. She says her seats along the first base line at the coliseum place her and her family at unnecessary risk. Payne's attorney is asking a U.S. district court to accept the base as a class action lawsuit. At least two women have been hit with flying bats in Boston this season, one incident happening when the Red Sox hosted the A's at Fenway Park.